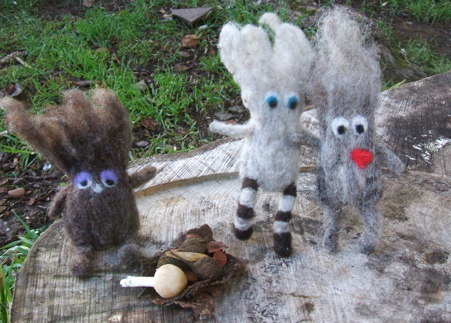 I love woolly pursuits: knitting, needle felting, crochet. I design my own knitting patterns. I blog about my friends – the Felty Folk, and about crafts I’m working on, and interesting places and art. I have done stonecarving and letter carving in stone. I have strong interests in lettering, typography and calligraphy. I dabble in a bit of drawing and painting. I used to sing in bands. I have studied English, Film Studies and Graphic Design. I work for National Museums Scotland in Edinburgh. All views here are my own. After a struggle with M.E./CFS since 2007, I am now very nearly recovered. I love your blog ! I found you over on Kate’s blog Needled, and here I am. Looking for your Ravelry identiy so I can follow your blog in the lineup there…. I’m “jenjay’ … nice to meet you. Thanks Jen. I love Kate’s Needled blog. 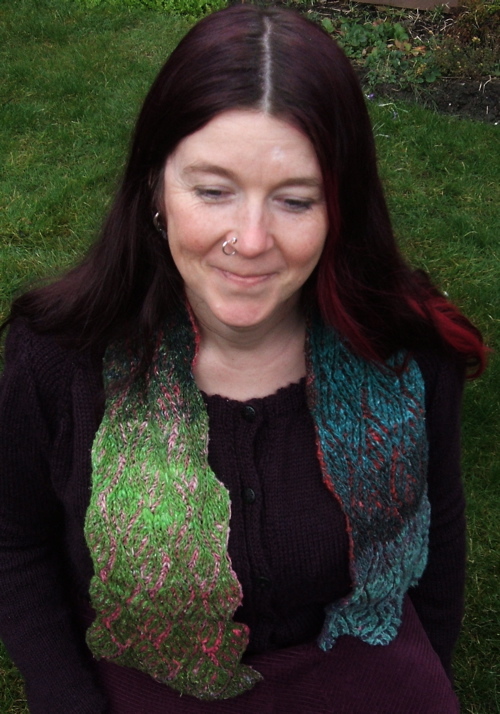 See you on Ravelry, I’m Nightwood. You might be interested in Yarn Bomb Bute, a project that is happening the last weekend in September. Find out all about it on Facebook!